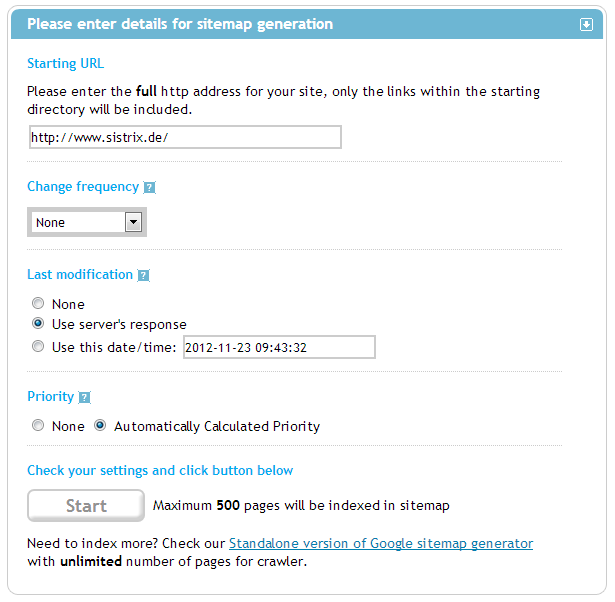 Home Ask SISTRIX Sitemaps How do I create a sitemap for my website? How do I create a sitemap for my website? Sitemaps for search engines have to be in a specific “machine-readable” format, which means that it needs to be hierarchically structured. Additionally, the sitemap needs to use the XML sitemap protocol for the markup. This is the reason why this type of sitemap is called an XML sitemap. Every webmaster can easily and quickly create an XML sitemap for their website. 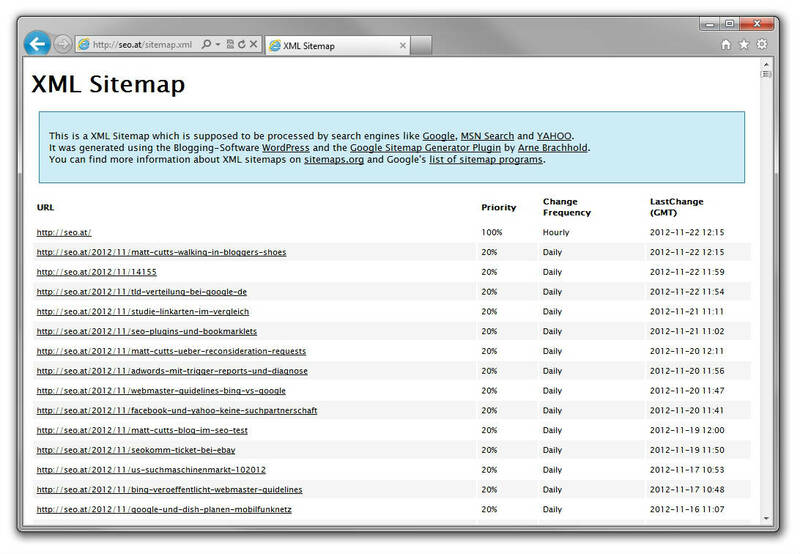 The free sitemap generator XML-Sitemaps.com can help. If your website does not have more than 500 pages, you can use the free online XML sitemap generator to quickly generate an XML sitemap. 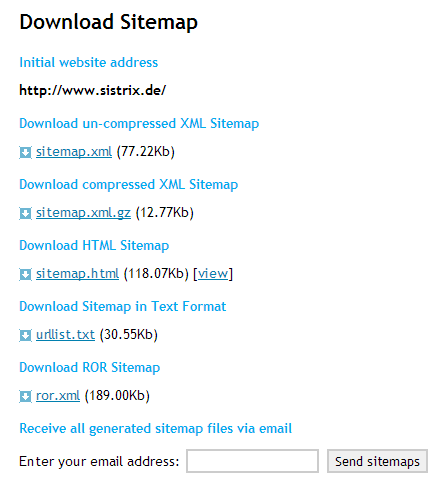 Once the XML sitemap is generated, you have the ability to download the files or send them to your email. Next you have to move the freshly generated “sitemap.xml” into the main directory (root) of your own domain. You can also decide to use the “sitemap.xml.gz”, whose file-size is a lot smaller thanks to the compressed format. As far as the other files are concerned, they can either be ignored or uploaded to your own webspace. Once the XML sitemap can be reached on your own domain, you should submit it to Google. How can I submit a sitemap to Google? How important is a sitemap for the indexing of my site? How regularly do I have to update my sitemap and can I automate it?